Former CIA Director John Brennan has issued a scathing attack at President Trump, accusing him of being a coward who is unfit for office. Brennan’s latest hissy fit is the result of Trump tweeting his support for dumping illegal aliens into sanctuary cities. “Due to the fact that Democrats are unwilling to change our very dangerous immigration laws, we are indeed, as reported, giving strong considerations to placing Illegal Immigrants in Sanctuary Cities only. The Radical Left always seems to have an Open Borders, Open Arms policy – so this should make them very happy!” Trump tweeted Friday. 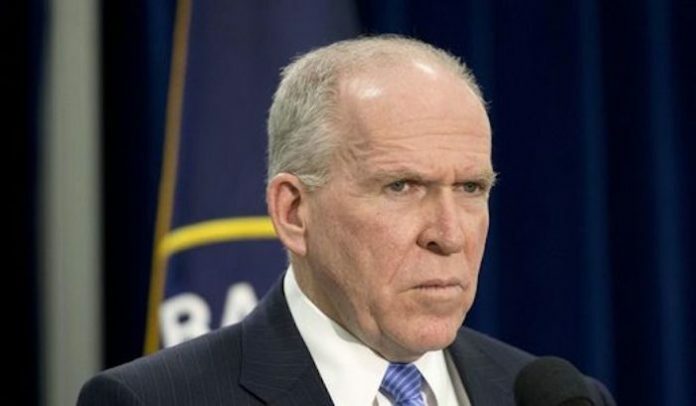 Thegatewaypundit.com reports: Brennan attacked Trump as unfit for office and said his policies are cowardly.